A libertarian and contrarian’s view on world events, but with a cranky old man twist. I don’t always agree with him, but he sees the world differently than my surrounding peers and keeps my mind turning. This is a podcast hosted by and for Indie authors, around various business and craft topics. It’s a fun program, and one I sponsor for $10 every month through Patreon. I enjoy it, and think you will too! The hosts Terry Mixon and Paul E Cooley are awesome and have a Facebook group where fans can nerd out together on anything and everything. This podcast offers in depth looks into various periods of history without the need for untold hours buried in the stacks at your local college library collection. No white gloves, just interesting facts and connections some classically trained historians miss. Check it out, see what stories it unleashes in your subconscious! This is a weekly live YouTube vlog, that is then posted as a podcast and thoroughly enjoyable! If you like fun interviews, chalk full of drunken shenanigans, this podcast is for you! They even manage to score some big name author interviews; such as David Weber, Richard Fox, Michael Sullivan, Jack Campbell, Monica Leonelle, DragonCon Finalist Mark Wandrey and many more! This podcast is all about marketing for Indie Authors of the science fiction and fantasy genres. It’s informative and fun if you’re in the business of selling words, why aren’t you listening to these guys already? It covers the nuts and bolts of writing from the business aspect of it. There are too few people who cover this, almost as if the numbers are verboten. If numbers are your thing, or you want to run your author business better, you should listen to these guys. Your daily dose of authorial motivation, helping you prioritize your author business. It’s a fun little blog, from Kristen Martin, an author, and YouTube content creator. I enjoy it, and you just might as well! This podcast is hosted by the affable J. Daniel Sawyer; author, audio book narrator, podcaster, and all around decent human being. It’s a very user driven, and the host will handle all of your questions as podcast topics. He keeps the episodes short so you can enjoy them without a huge time commitment. Full transparency, I often found this helpful podcast through its tip jar. 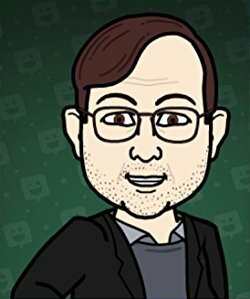 This is a relatively new podcast hosted by author C. Steven Manley and breaks down writing topics into bite sized chunks. I enjoy it, and think you might as well! Go on, check it out! Thank you! And I do find the podcasts keep me in the creative mindset while I’m away from the keyboard.